This Week in CTE: Happy 100 Years! Thursday marked the 100th anniversary of the Smith-Hughes Act, the foundation for today’s Career Technical Education! As we reflect on this important milestone for CTE, we’re excited to share how states, districts, schools, educators, students, parents and employers have lifted up powerful CTE success stories throughout the month, demonstrating how far CTE has come in the last century. Below are some innovative ways they have raised awareness about the value of CTE through a variety of channels. 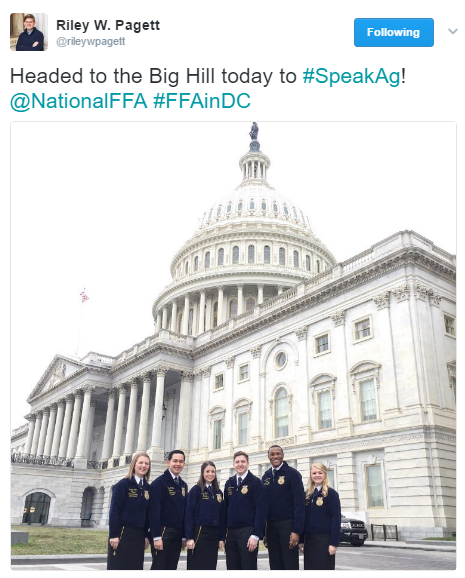 Social media has been an incredible way to raise awareness and share stories about Career Technical Education. A number of advocates used social media to dispel common myths about CTE, such as it is a program for ‘other kids’ or doesn’t prepare students for the breadth of educational and career opportunities. To combat these negative stereotypes, many states and schools focused on fact-based infographics to get the word about what CTE looks like today highlighting how CTE leads to higher graduation rates, postsecondary education, and higher earnings. A number of CTE Month advocates have used Twitter as a platform to share what CTE means to them and their preparation for the future. 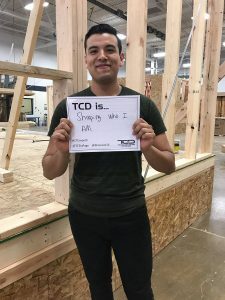 The Technology Center of Dupage shared the importance of CTE to their students through their “TCD is…” photo campaign with testimonies from students themselves highlighting things that make CTE unique like the opportunity for career exploration, hands-on learning and dual enrollment. 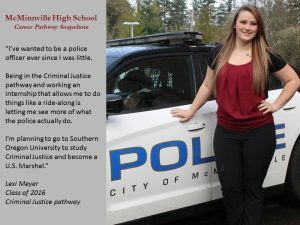 Milton Hershey School and McMinnville School also ran similar campaigns sharing students experiences in CTE programs. 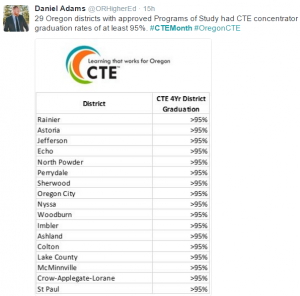 A critical audience during CTE Month is policymakers. A number of states, cities and towns have recognized CTE Month through proclamations voicing their support for CTE in their communities. Local and state leaders including city councils, mayors, governors, and members of Congress have used CTE Month to demonstrate their commitment to CTE. 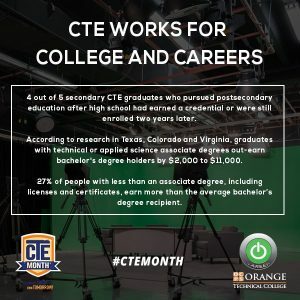 For policymakers who may not be convinced, students, as part of a variety of Career Technical Student Organizations have used CTE Month as a way to make the case for CTE, and its role in their success. Additionally schools across the nation invited their local policymakers for site visits and career fairs to demonstrate CTE programs in action. This entry was posted on Friday, February 24th, 2017 at 3:26 pm	and is filed under CTE: Learning that works for America. You can follow any responses to this entry through the RSS 2.0 feed. Both comments and pings are currently closed.